UPDATED: Tue., Jan. 8, 2019, 9:50 a.m.
OLYMPIA – College athletes in Washington could be paid by sponsors or companies seeking their endorsements under a bill proposed by a key Republican on the House spending panel. Stokesbary said his proposal, which was pre-filed last week for the upcoming legislative session, would cover a company like Nike paying University of Washington quarterback Jake Browning to appear in a shoe commercial and receive a payment similar to what Seahawks quarterback Russell Wilson receives. It wouldn’t allow a booster of the Gonzaga University basketball team to pay point guard Josh Perkins to herd alligators on the GU campus. “It would have to be the market value,” Stokesbary said. The NCAA has rules against college athletes receiving payments for endorsements or hiring agents. 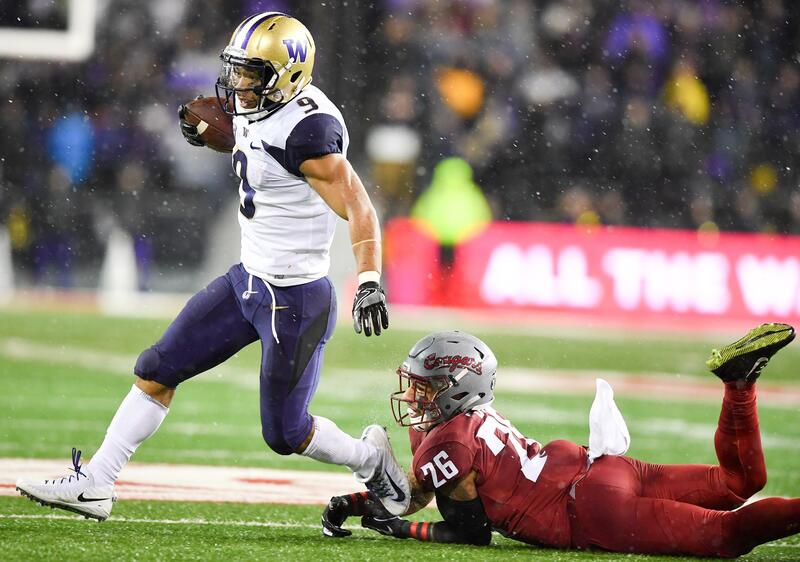 The bill would make it a violation of the state’s consumer protection law to enforce those rules against college athletes in Washington. Gonzaga athletic director Mike Roth declined to embrace or dismiss the long-shot effort that would allow his school’s athletes to leverage their skills and popularity into a payday. “Until I get a chance to get more clarification, it’s just premature in the process to comment,” he said Monday. The proposal doesn’t address whether the schools themselves could have rules against their athletes receiving payments for endorsements or appearances. That’s something Stokesbary hopes would be discussed in a hearing, if he can get one on the proposal after the Legislature convenes Monday. Allowing players to be paid, either by universities or from companies, remains among the most controversial issues in college athletics. NCAA officials have long held that abandoning its amateurism rules would erode the core mission of college athletics: attaining an education. NBA legend Kareem Abdul-Jabbar has long pushed for college athlete compensation. He declared that the amateurism rules were especially discriminatory against black athletes, who make up a large percentage of Division I players. If the proposal in the Washington Legislature gains traction, or a hearing, what would be the reaction of public and private universities around the state to a possible showdown with the NCAA? For example, suppose an athlete receives a payment for a job late in a very successful season and the national organization sanctions the university. The state could begin a consumer protection claim. But would the University of Washington or Washington State University jeopardize a trip to the Rose Bowl or Gonzaga a trip to March Madness while the claim is litigated? “I think that’s a legitimate point to make,” Stokesbary said. He doesn’t see much chance that his bill, as is, will pass the Legislature and become law this year. Instead, he wants to start the conversation around the issue of paying college athletes, with the possibility of rewriting it in the months ahead. The legislation was “created from scratch” because neither he nor legislative staff could find a similar proposal in another state. Stokesbary is the top Republican on the House Appropriations Committee and the House GOP floor leader in the upcoming session, but a hearing would be up to committee chairmen, who are Democrats. Editor’s note: This story was changed on Jan. 8, 2019 to correct when Stokesbary’s bill was filed. The information originally was incorrect as a result of an editing error. Published: Jan. 7, 2019, 10:54 p.m. Updated: Jan. 8, 2019, 9:50 a.m.